A Peoples Democratic Party (PDP) governorship aspirant in Edo State, Chief Solomon Edebiri has promised to generate one million jobs for unemployed youths in the state if he is voted as governor. Edbiri, who stated this in an interview with journalists in Lagos, said to achieve this, he would revive all the moribund state –owned industries and harness the rich tourism and agricultural potentials in the state . He said apart from reviving the moribund state-owned industries and exploring the tourism and agro sectors of the state economy, his administration would also encourage the growth of Small and Medium Scale Enterprises (SMEs) by providing support to entrepreneurs in the state. The governorship hopeful said his focus is to banish hunger and insecurity from the state through job creation, noting that when the youth are gainfully employed, the tendency to indulge in crime will greatly reduce and the state will be better for it. “Reviving the moribund industries will first of all guarantee direct and indirect jobs for about 200,000 people in the state. Take the likes of Bendel Insurance, it is an insurance company. By the time you revive Bendel Insurance, it is going to have brokers. The brokers will be about 100 to 200. You are going to have offices in all the local government areas in the state. You are going to have sub-offices across the states of Nigeria. So, by the time you look at all these, Bendel insurance will employ thousands of people. “Then you talk of Edo line. You talk of Bendel Pharmaceuticals. You talk about Bendel Printing press. You talk about Bendel Breweries. You can go on and on. If you do a bit of checks and find out how many companies that are moribund that have been castrated, by lack of business acumen by previous administrations, then you will appreciate the simple fact that my 200,000 jobs estimate within two years is an understatement. “If you also look at the simple fact that we can generate not less than 500,000 jobs from new industries, including the ICT industry , then you will agree with me that government under our watch will be looking at generating almost a million jobs for our people within four years through direct and indirect jobs. That is our focus,” Edebiri explained. The PDP aspirant further stated that if he emerges as the governor of the state, his administration will also pay a great attention to vocational trainings to ensure that able bodied men and women in the state are gainfully employed one way or the other. Former Minister of State for works, Chris Ogiemwonyi has said that his desire to help the younger ones develop and enjoy a bright future propelled his ambition. He said he is comfortable but disturbed by the poor living style of the youths who think only of money without desire for hard work and good name‎. 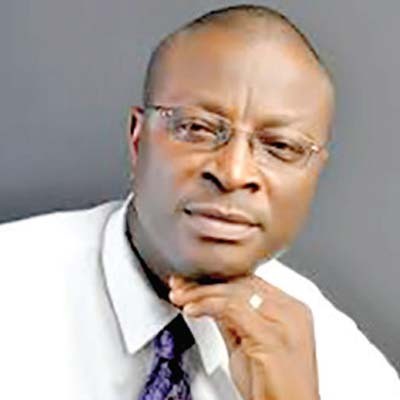 Ogiemwonyi, one of the top contenders for the Edo State APC Governorship ticket, stated this when Turaki Vanguard, Edo State chapter and other political associations converged on 92, Akpakpava Road, Benin City to declare their support for his governorship ambition ahead of the forthcoming APC governorship primaries. The colourful event attracted 56 delegates of APC from different communities in the state, who openly declared their support for the ambition of the former minister of state for works. The Turaki Vanguard formally presented a sourvenir of the group to Chris Ogiemwonyi as a symbol of their open adoption as their aspirant ahead of the state party primaries. An elated Ogiemwonyi commended the group for their support, describing it as one that gives credence to his credibility, especially as he has unblemished track record in his 35 years service in the NNPC where he retired as Group Executive Director (GED). Meanwhile, Ogiemwonyi has commended the good work of outgoing Edo State governor, Comrade Adams Oshiomhole in the state, describing it as a foundation he will build on for the overall good of the people of the state. The state coordinator of Turaki Vanguard, Lucky Omozokpia Seceghosa Aghedo, State Woman leader, Mrs. Esther Obanor, Princess Ayo Rosemary, all commended the sterling qualities of Ogiemwonyi, who they described as a man of integrity and who is compassionate for the masses and down trodden in the society. Traditional rulers from Edo North have appealed to the Deputy Governor, Dr. Pius Odubu, to let bygone be bygone over recent attack on him in Auchi by suspected political thugs. ‎The Otaru of Auchi, Haliru Momoh Ikelebe III who led the royal fathers, to visit the Deputy Governor, extolled the cordial relationship which had existed between Comrade Oshiomhole and Dr. Odubu since the past seven and a half years and sued that at a time like this, the friendship should not go sour. He maintained that the development of the state is tied to the oneness of purpose by the duo and prayed Almighty Allah that nothing should separate the governor and his deputy. He admonished Odubu to put the past behind him, urging him not to cast blames but continue to remain focused and dedicated towards the development of Edo State. The traditional ruler told the deputy governor not to be distracted by mischief makers who may want to trivialise the attack across ethnic and senatorial divide, assuring him that as an aspirant vying for the governorship seat, the traditional institution accepts his ambition. The Otaru thanked the Almighty Allah that no lives were lost during the unfortunate incident and prayed Almighty Allah for quick recovery of those presently receiving treatment. The Edo North Traditional Rulers had earlier resolved to investigate the matter, even as the Otaru of Auchi said youths in his kingdom where the incident happened were not known to own guns. “I can assure you that we have disciplined youths in this community and, they don’t have the gun to go and be shooting at people and we don’t have guns in Auchi. It is a case of internal political conflicts and those conflicts are exclusive to them. I am not aware that any Auchi youth has taken part in that crisis. The incident that happened in Auchi was one that nobody expected to happen and we as a community are very sympathetic with the deputy governor, but we are investigating who and who would have been responsible”, the Otaru said. The relationship between Oshiomhole and Odubu became strained when the latter declared his intention to run in the 2016 Edo State governorship election. “We want to see the governor and hear from him what is happening”, ‎the Otaru said, pointing out that the issues are germane and as traditional rulers, they have resolved to look for a way to address them and that this formed their decision to go into the matter and try to settle them. It would be recalled that Odubu escaped death in Auchi as gunmen shot at him inside the APC Secretariat in Auchi as he was being received by the delegates of Etsako West Local Government Area, where Governor Oshiomhole hails from. Barely a week after a Peace and Reconciliation Committee led by Prince Olagunsoye Oyinlola from the All Progressives Congress (APC) National Secretariat resolved the crises in the state chapter of the party, tension is said to have risen again over what some elders of the party described as “ ugly development”. One of the issues said to be generating tension is the removal of the Speaker of the State House of Assembly from the Central Senatorial District over which the people of the area have threatened to mobilise against the APC during the gubernatorial election scheduled for September 10 this year if the speakership is not restored to them. It was learnt that the powers that be are scheming to frustrate any attempt to return the position of Speaker to the Central Senatorial District until after the June 18 governorship primary of the party. The alleged conspiracy against the Esan people is said to be a secret deal among those who hold the levers of power in the state, who have allegedly pledged to work in tandem to produce a particular governorship aspirant at the party primary. It was further learnt on good authority that tension within the party was heightened at the weekend, following alleged move by a top party official to manipulate documents to undo a gubernatorial candidate from the central senatorial district to favour the alleged preferred governorship candidate. ‎Sources said a team of security officials who reportedly mobilised to the APC Secretariat in Benin to check the alleged manipulation during sorting of documents, arrived too late. Reacting to the allegation of manipulation of documents, the State Chairman of APC, Anselm Ojezua described those behind it as mischief makers, saying the state secretariat of the party has nothing to do with governorship aspirants, as it was purely a matter for the National Secretariat. “We didn’t sell forms, we didn’t receive forms, how can we mani‎pulate documents?”, he queried, adding that it was out of point for anyone who has not bought and returned his expression of interest form to call himself an aspirant. He debunked the claim of any rising tension in the party.